As we continue to learn from the 2018 election and build the case to voters for 2020, the Jackson County Democrats plan to use the new year as a time to hear from all of our constituents and be even more visible across the county. 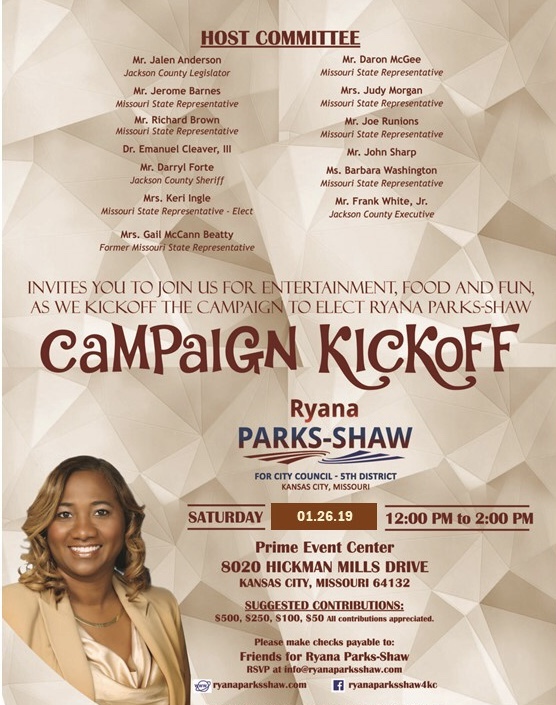 A new subcommittee is being formed to specifically address party outreach into various communities including holding informational events, social gatherings, expanding mailing lists, and bringing candidates and elected officials to you. What would you like to see us do in the next year? We're taking all suggestions because we work for you! Let us know at jacksoncountydemocrats@gmail.com or reach out to your own committeeman or woman. Our Revolution: Monthly meeting, municipal endorsements and bylaw review. Doors open at 6pm, meeting begins at 6:30. 425 Volker Blvd KCMO (Mag Conference Center behind MRI Global). Must pay dues and have attended a previous meeting to have voting rights at this meeting. Summit Democrats: first meeting of the year to discuss planning for the 2020 cycle. 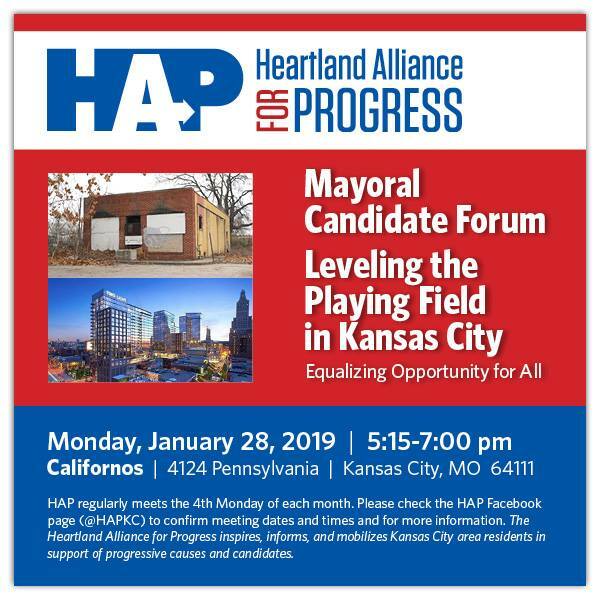 Thursday, January 17th, 7pm at VFW Hall in Downtown Lee's Summit (329 SE Douglas St). Raytown Democratic Association: Monthly meeting January 17, 7pm at Las Chili's (6310 Raytown Trafficway). Come early for dinner and to meet other members. Guest speaker: Jackson County Democratic Committee Chairman Paul Wrabec. United Eastern Democrats: Membership meeting and election of officers. Wednesday January 23rd at Courthouse Exchange (113 W Lexington in the Independence Square). 6pm social hour, 7pm meeting. 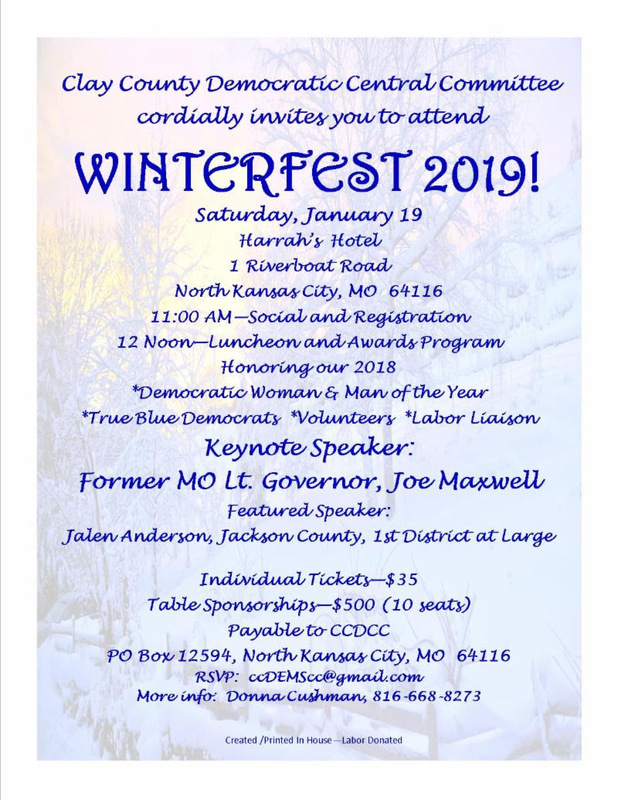 Guest speaker will be Prosecutor and State Party Chair Jean Peters Baker. Annual dues are $25. JCDC Quarterly Meeting: Regular business meeting. January 31, Jackson County Courthouse, 308 W. Kansas Ave. Independence. 7pm. Special keynote speaker: Congresswoman Sharice Davids! 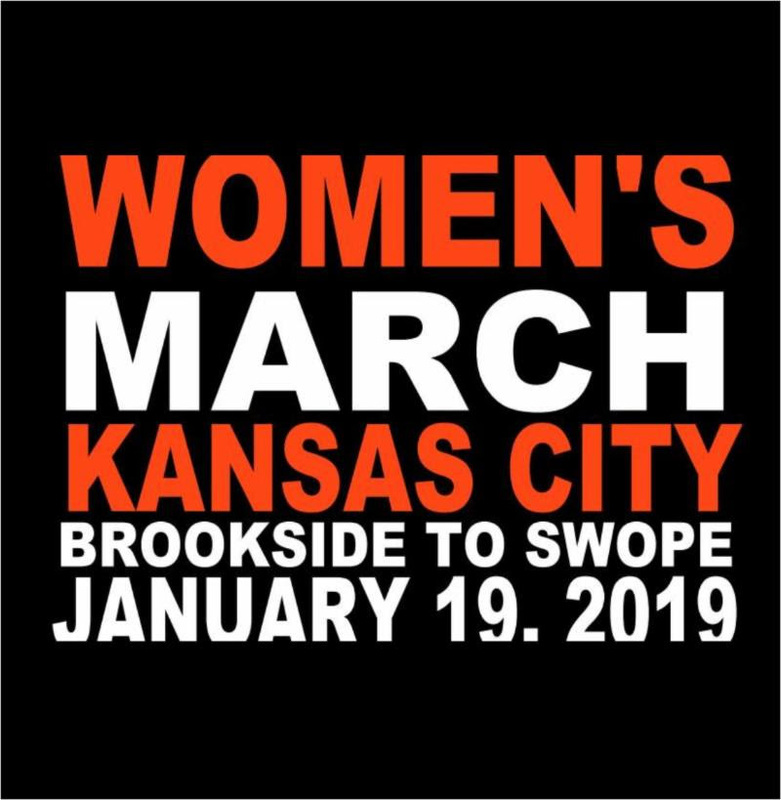 Join the Greater Kansas City Women's Political Caucus, friends and supporters this Saturday!